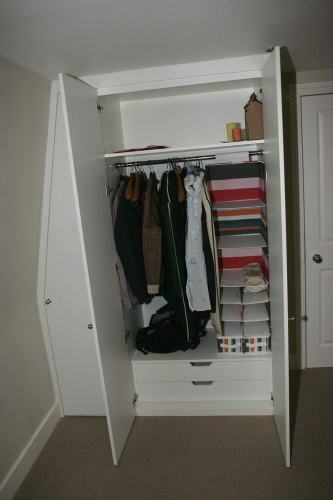 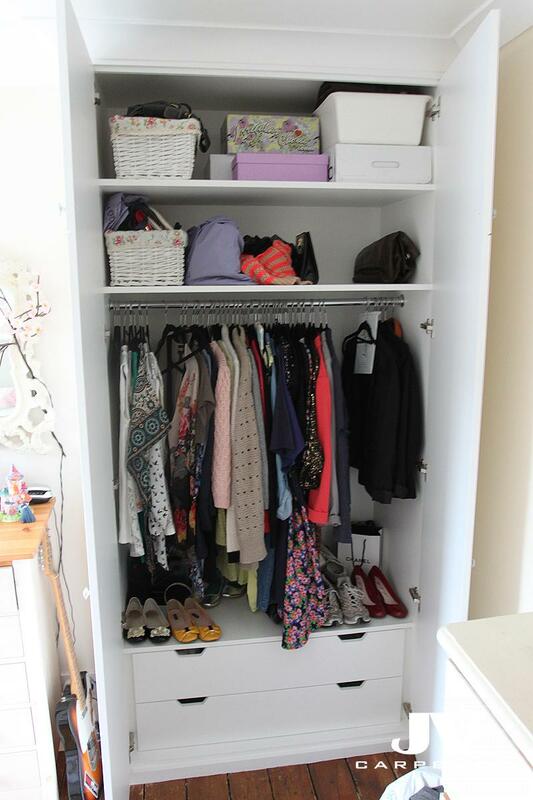 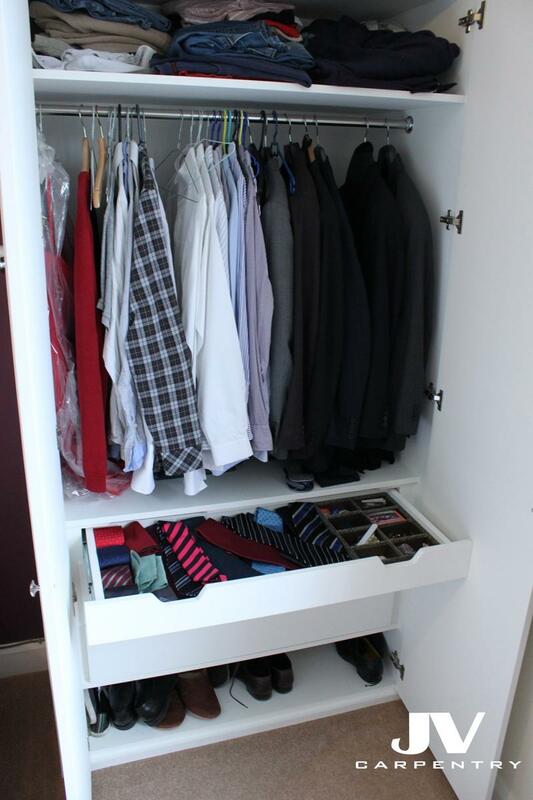 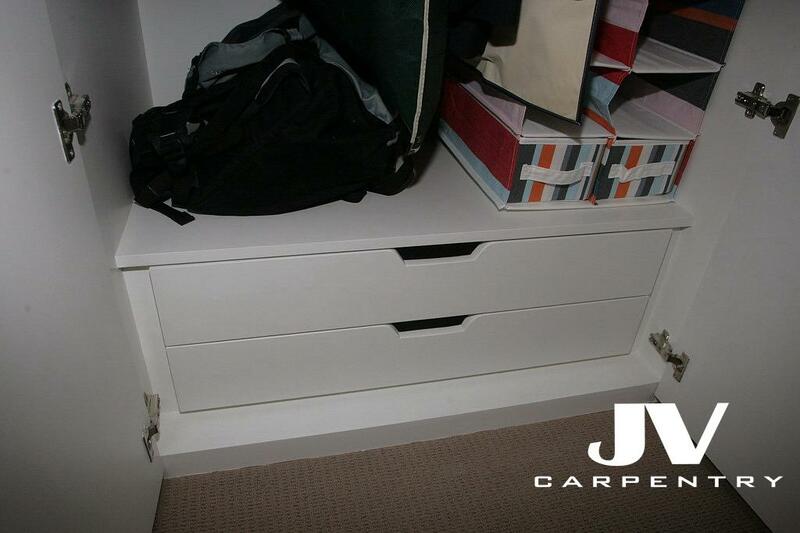 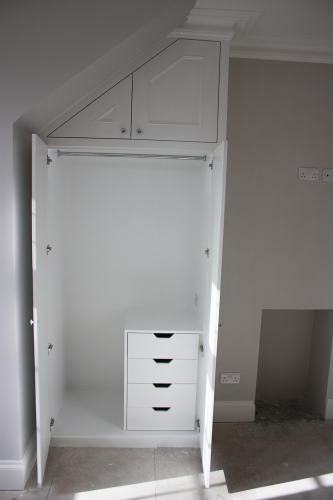 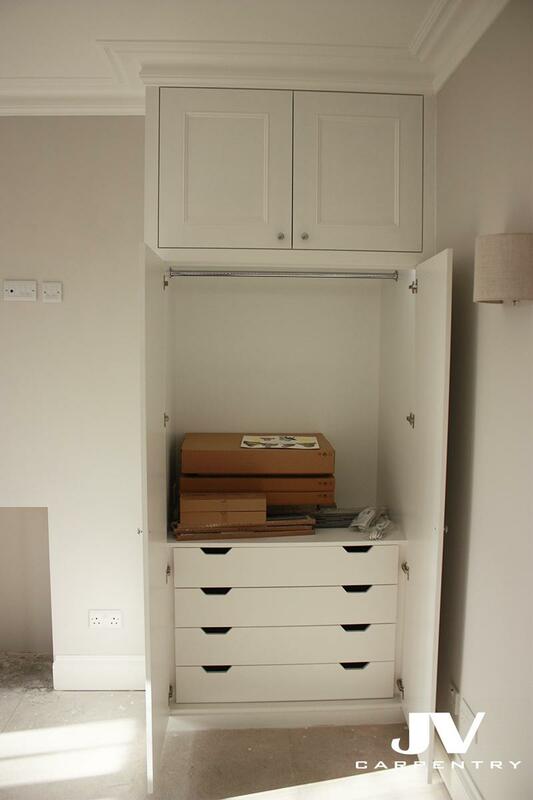 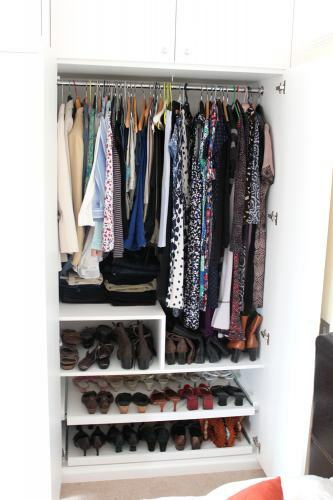 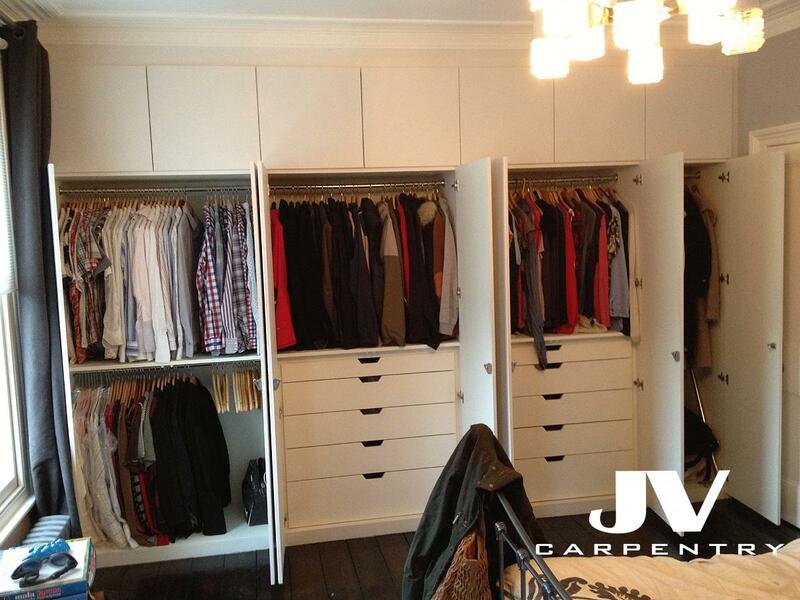 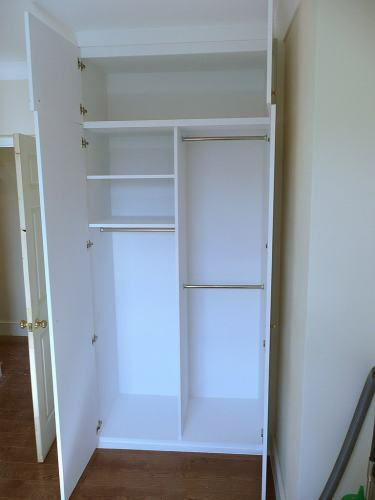 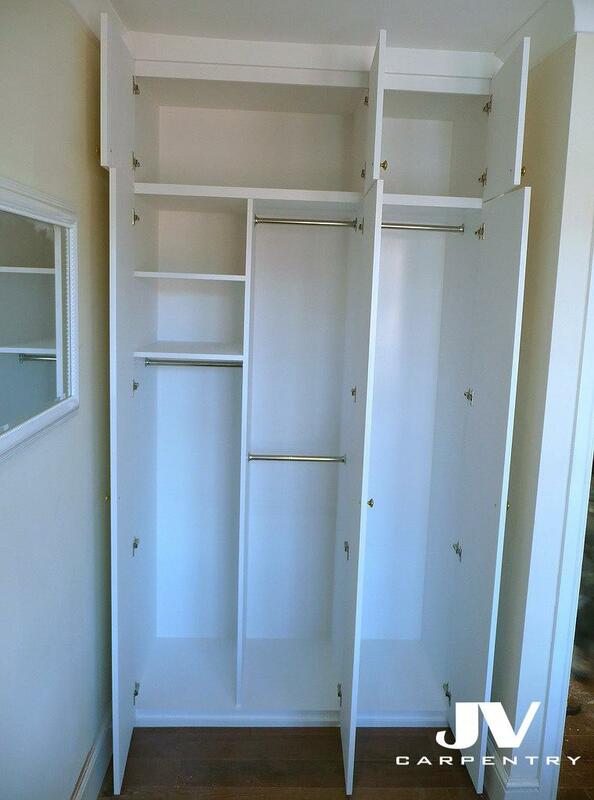 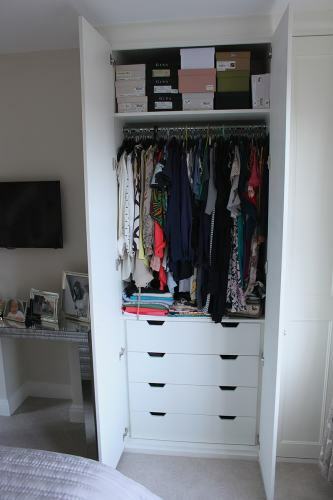 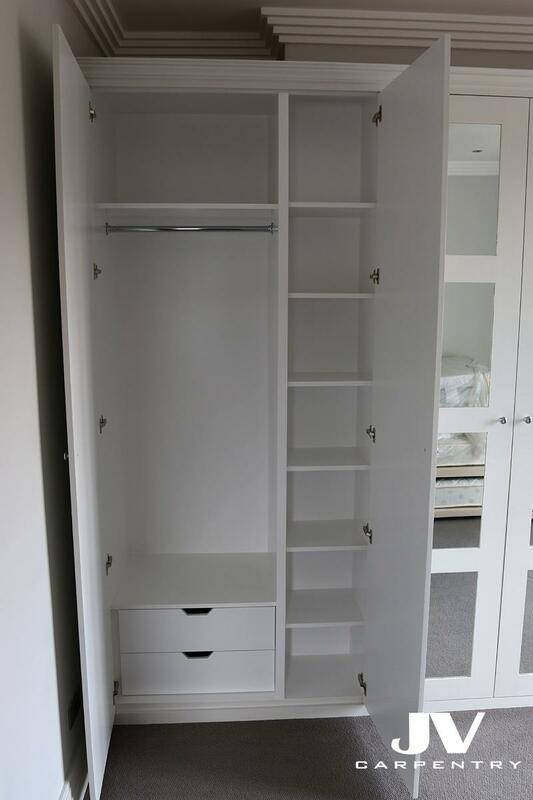 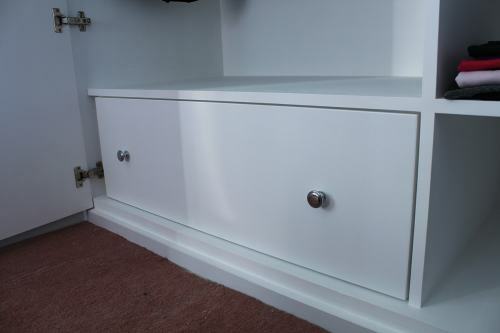 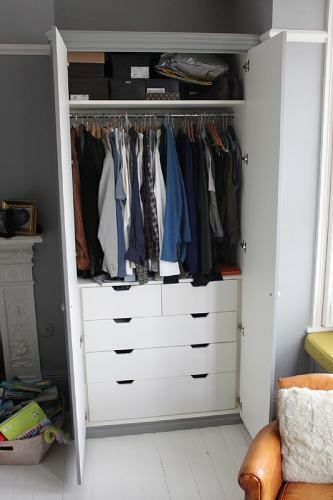 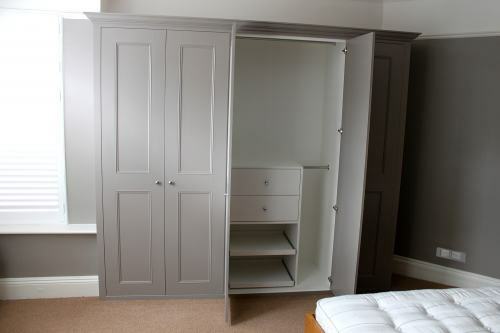 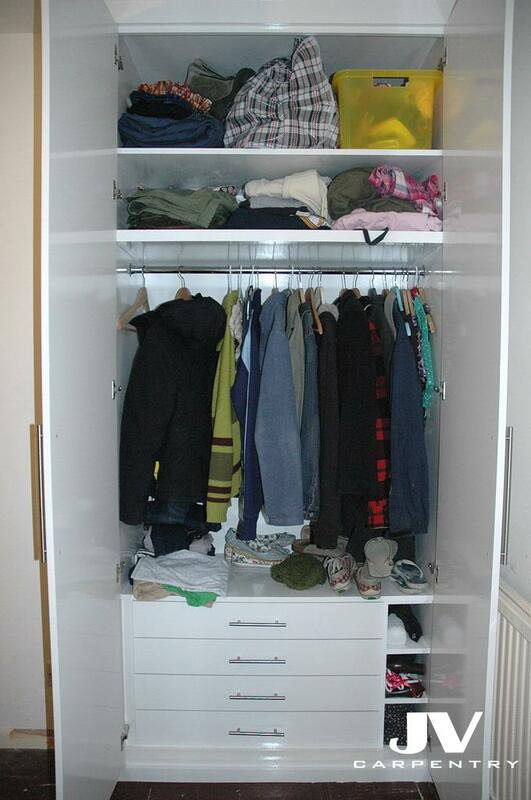 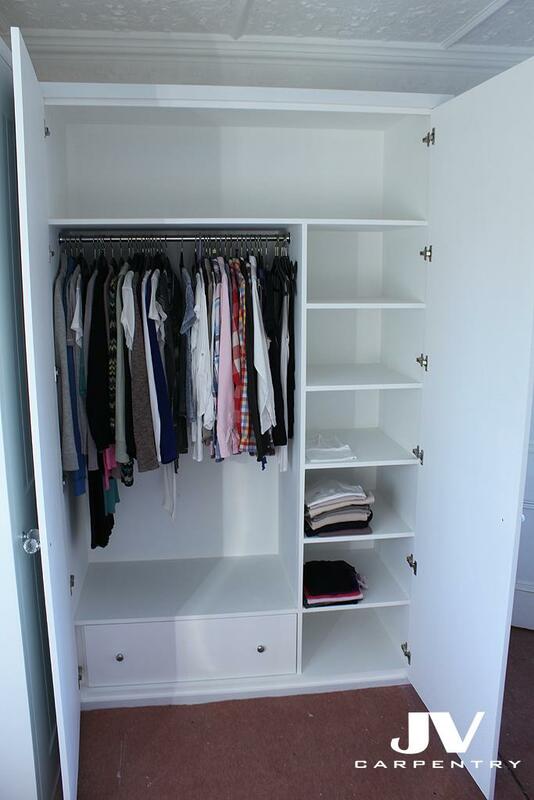 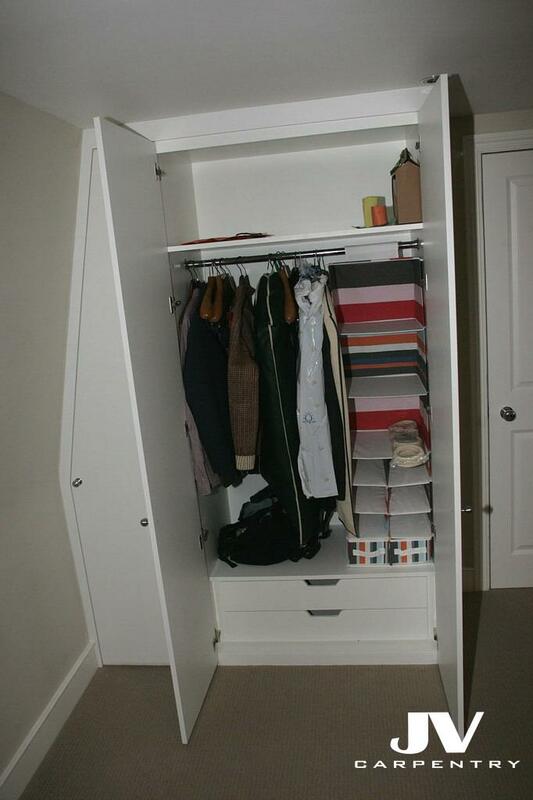 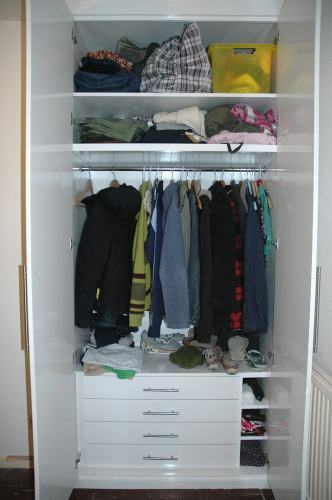 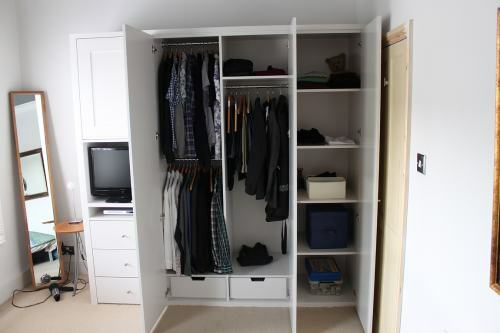 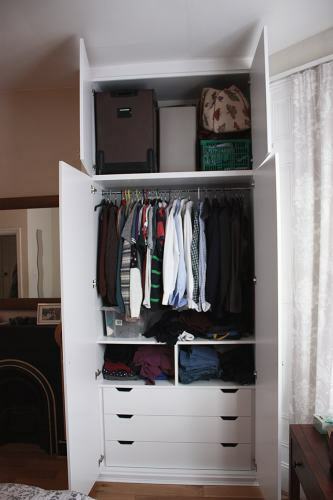 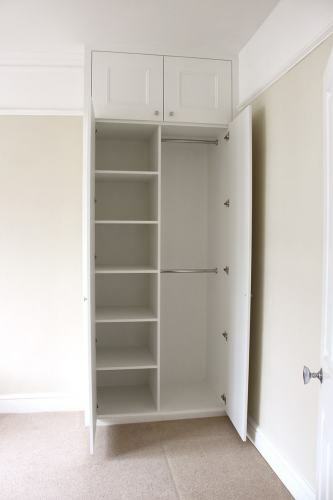 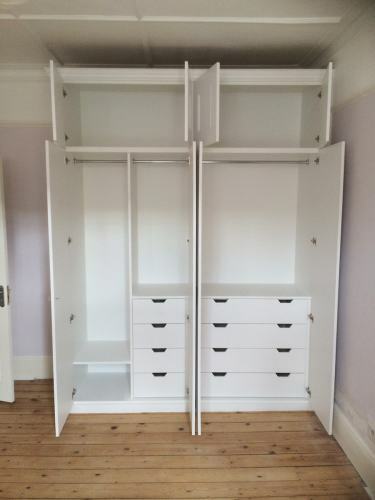 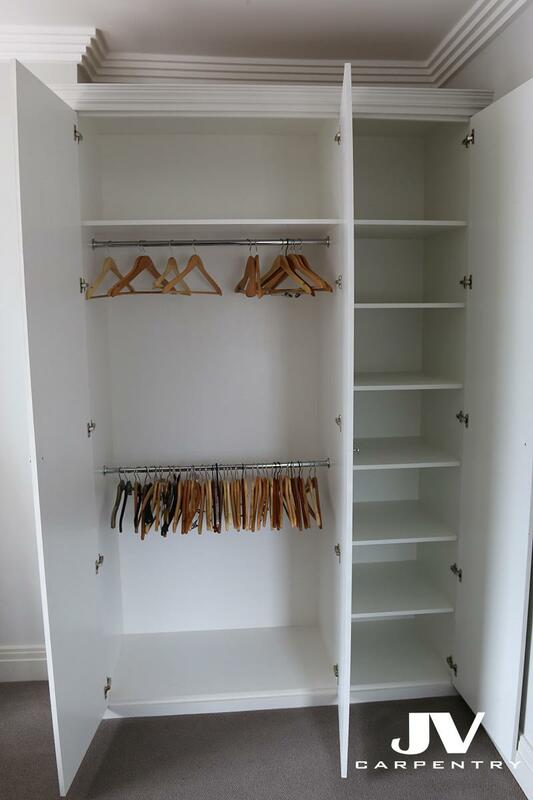 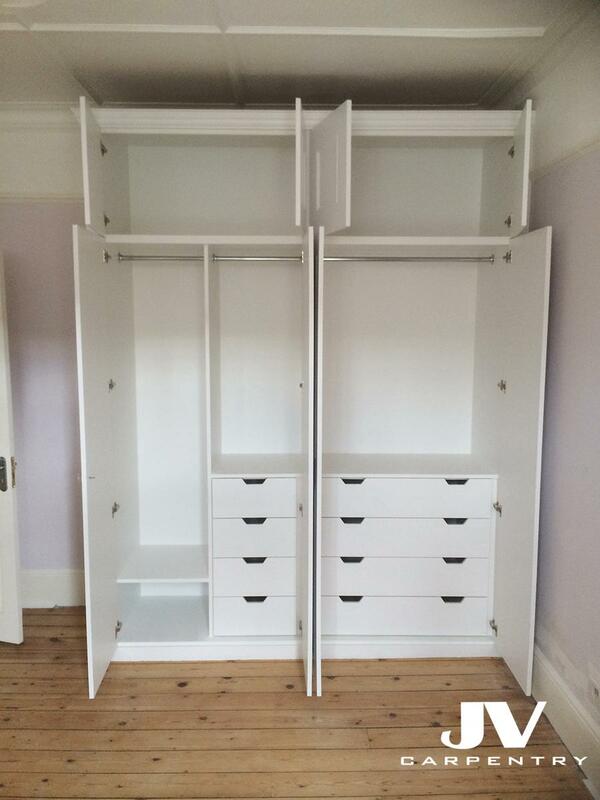 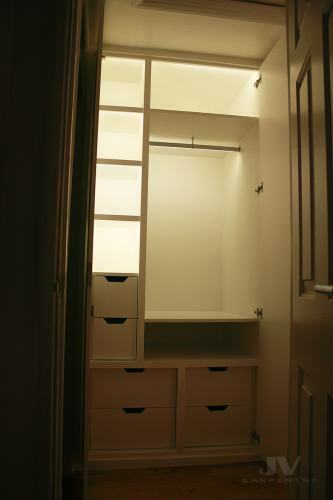 Looking to build your new fitted wardrobes and need some ideas to use the space inside the wardrobe? 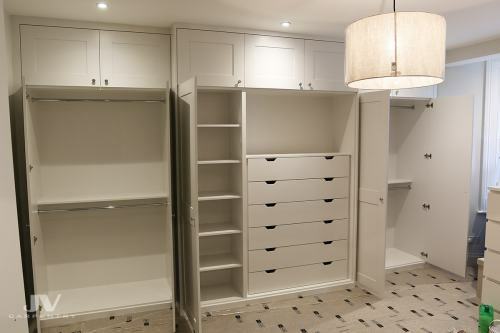 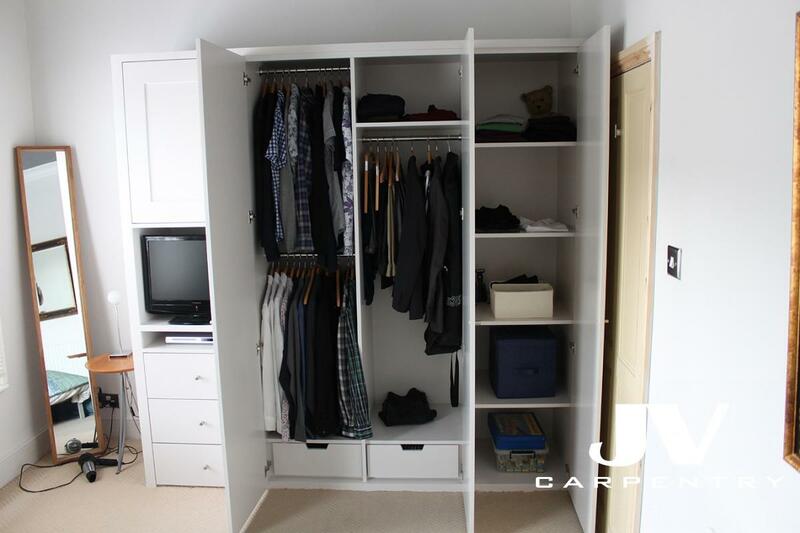 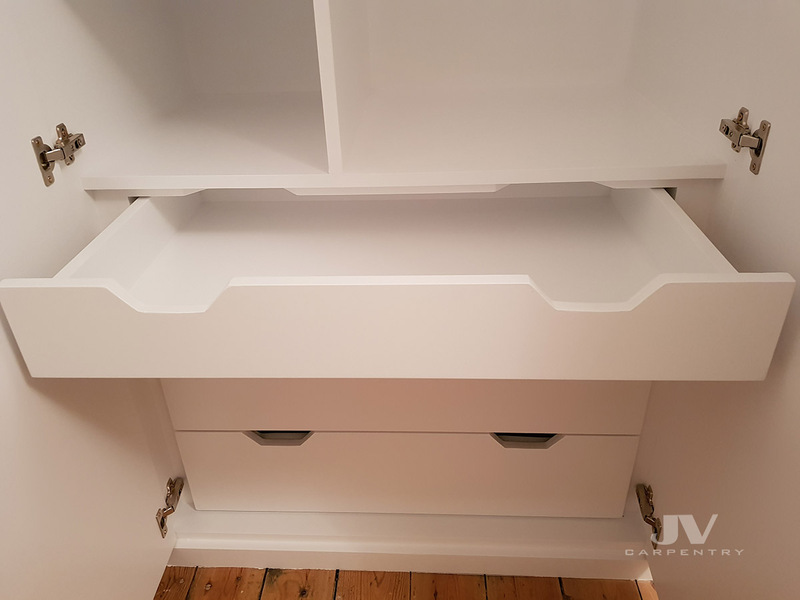 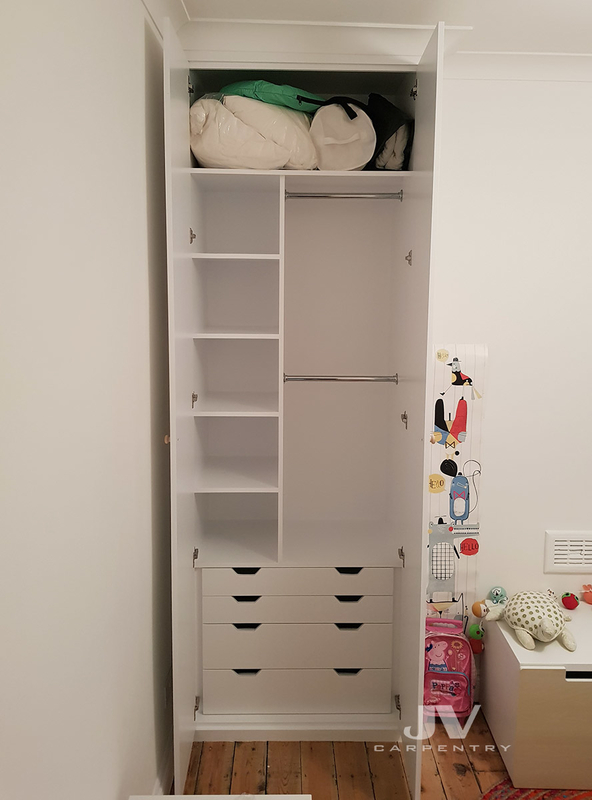 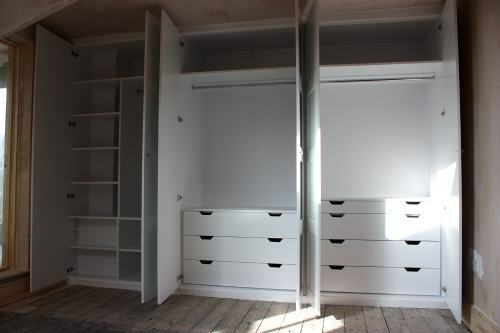 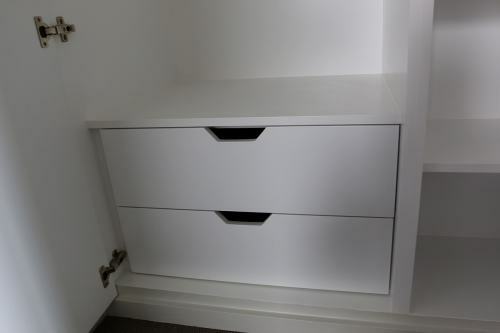 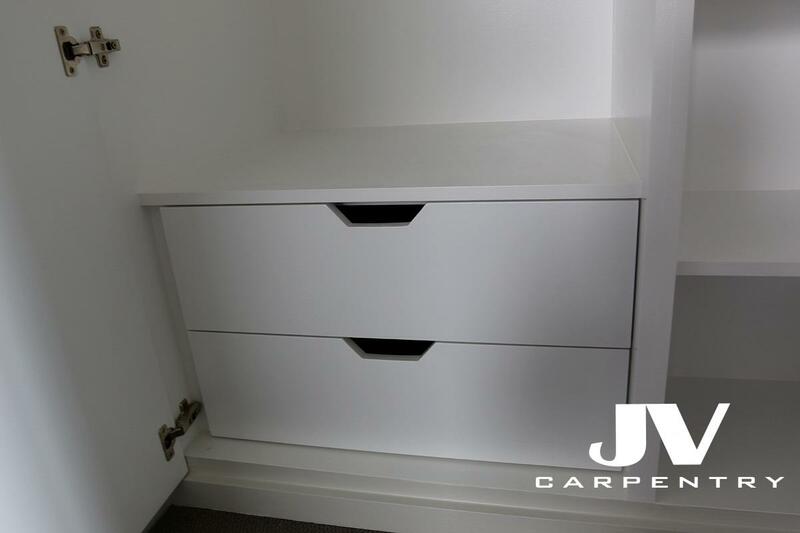 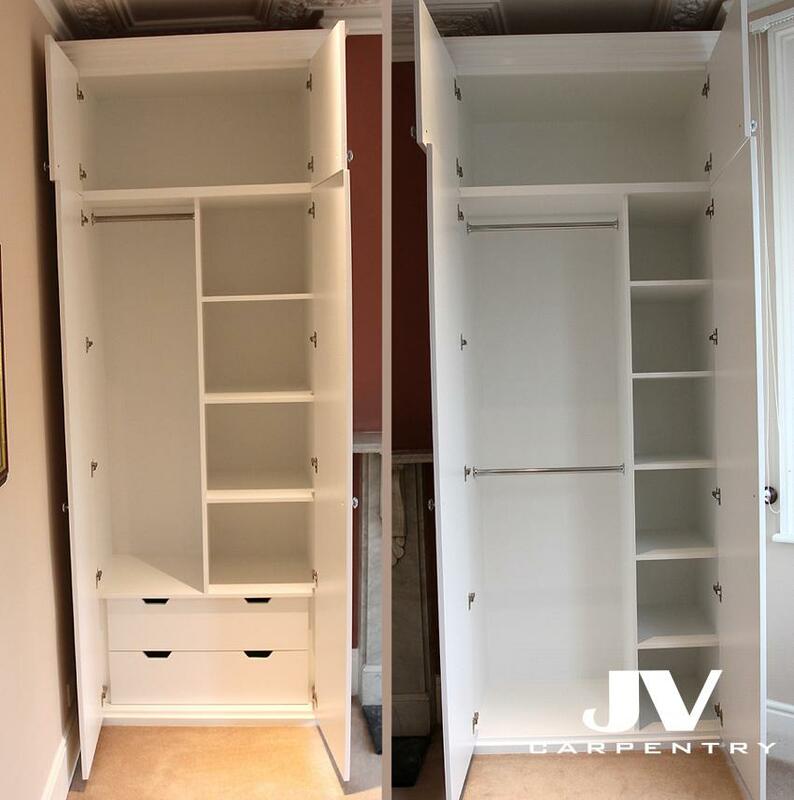 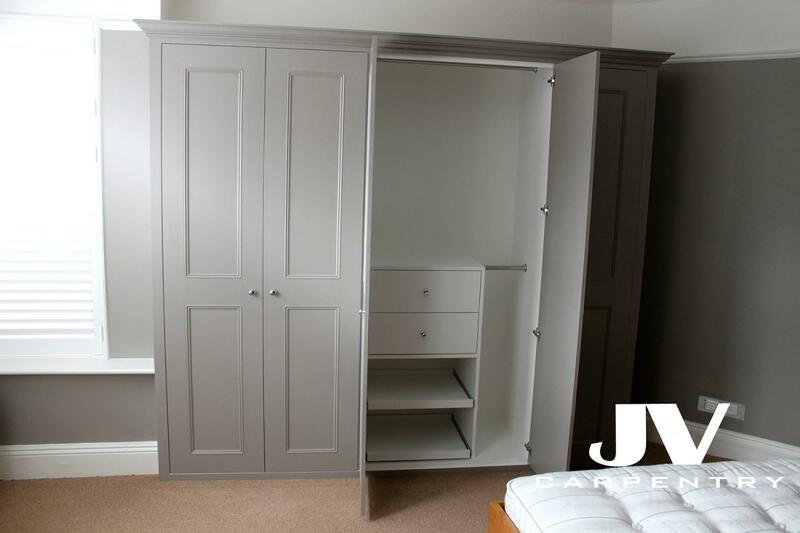 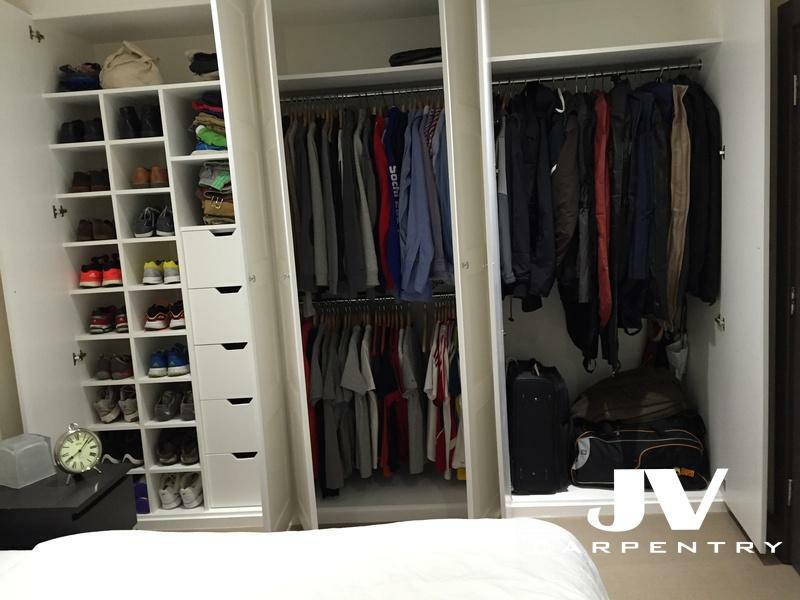 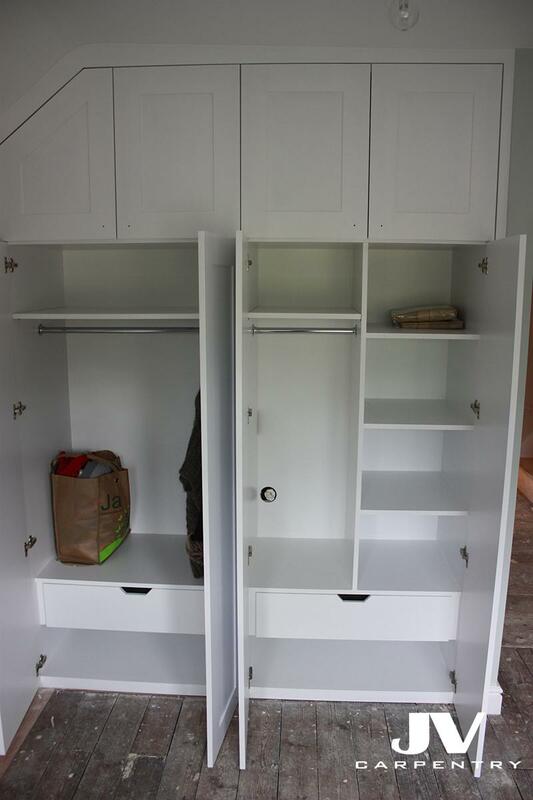 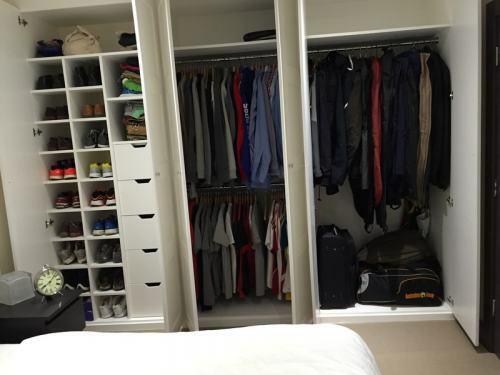 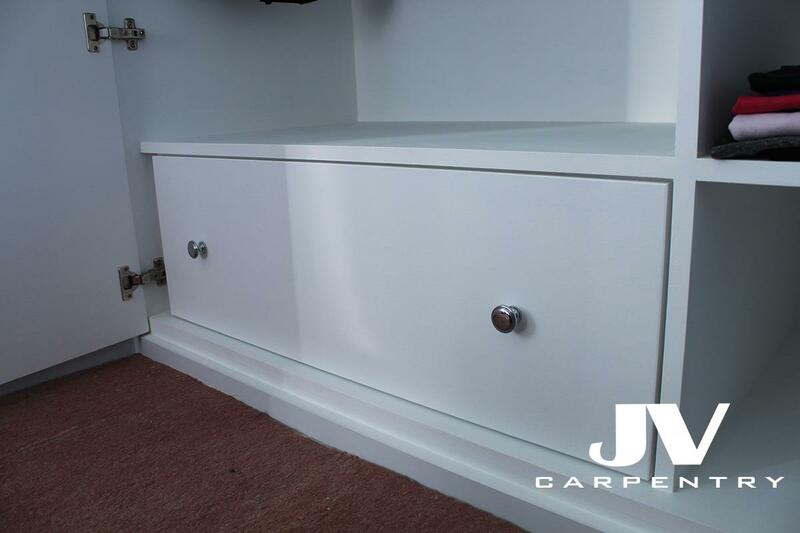 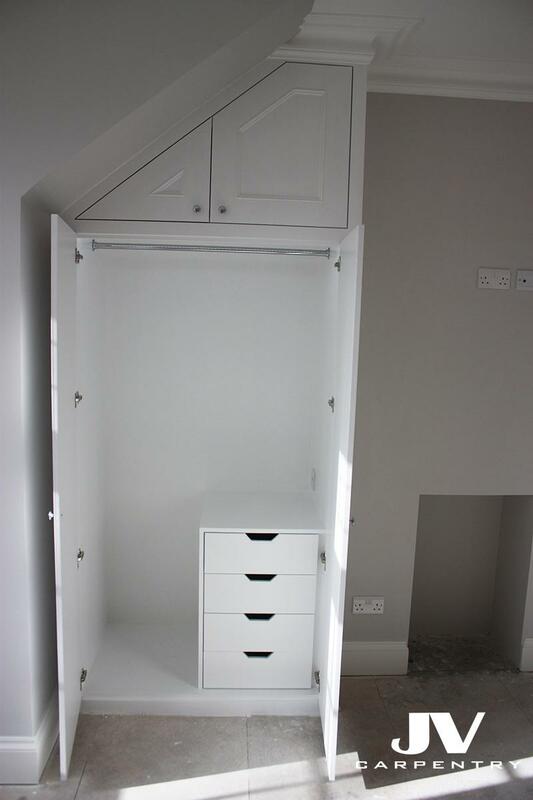 Take a look at the examples of the wardrobes interiors we made in the past and that should give you an idea how to maximise the space by adding shelving and hanging space, drawers, shoe-racks, pull-out shelves and even lights inside your fitted wardrobes. 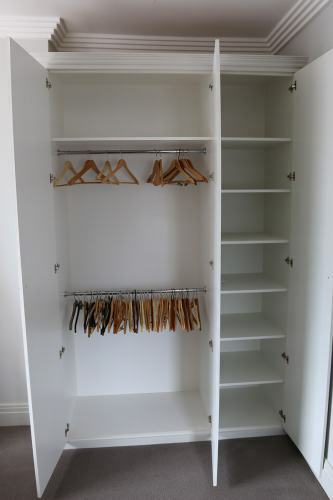 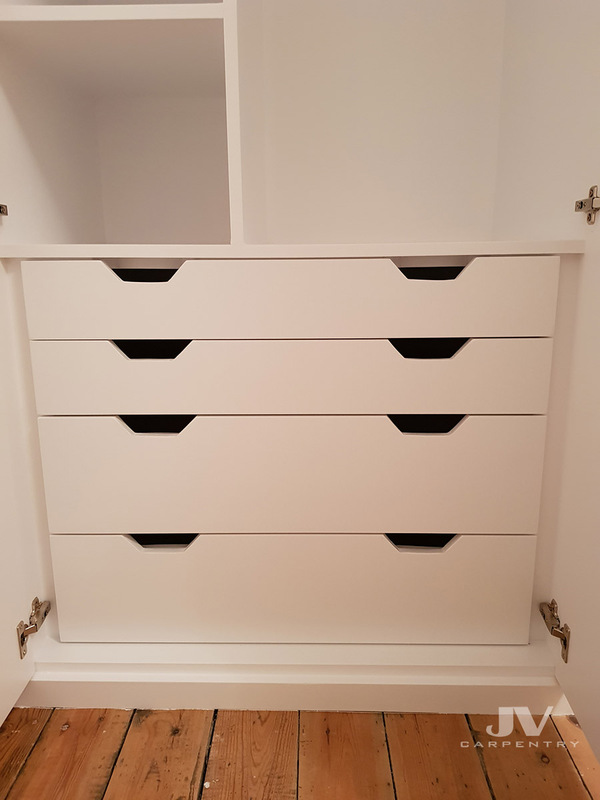 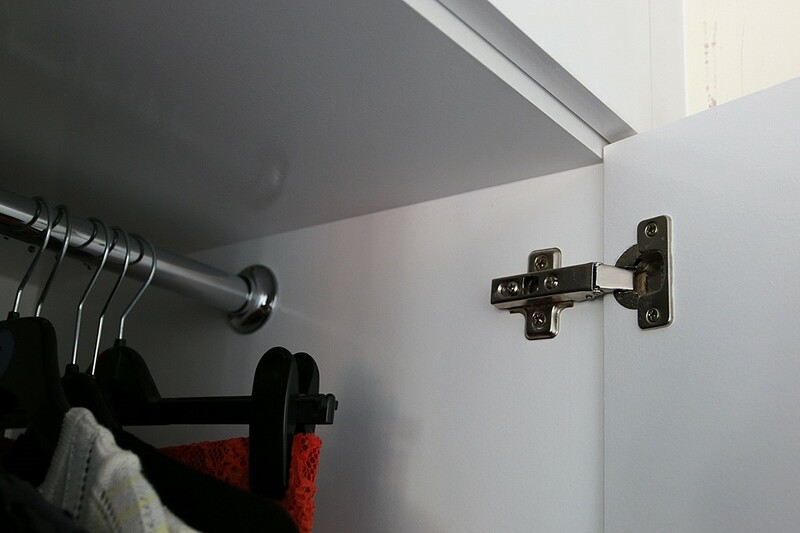 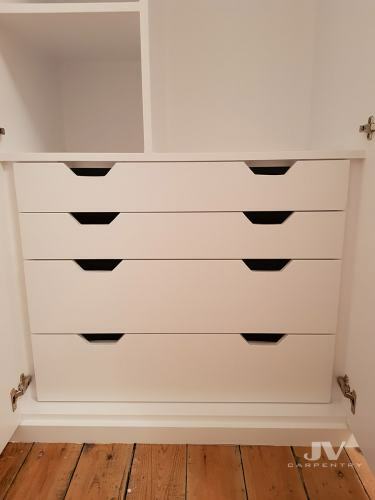 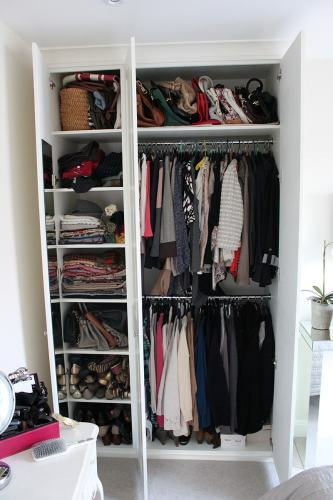 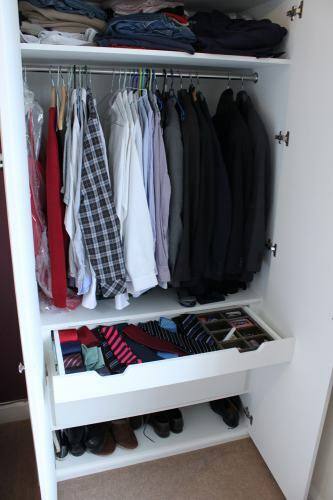 It's good idea to place your short hanging pieces of cloth at one end of your fitted wardrobe and your longer hanging clothes at the other that will open up lots of space underneath, where you can have a chest of drawers, shoe rack or few small shelves for shoes. 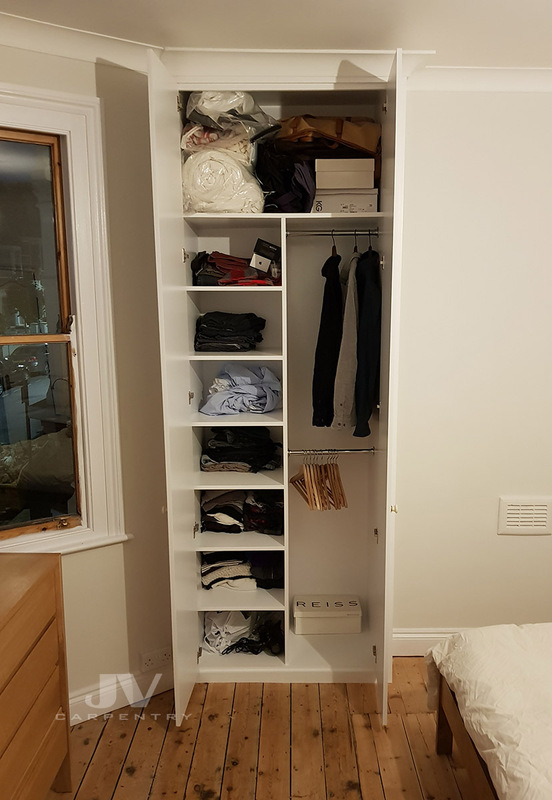 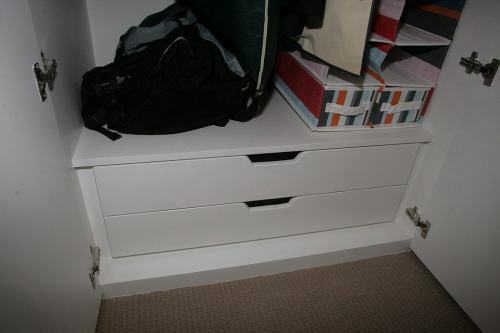 The very top shelves or the space behind the cupboard doors at the top of the wardrobe are good for suitcases, beddings and season clothes which you can keep in the storage boxes away. 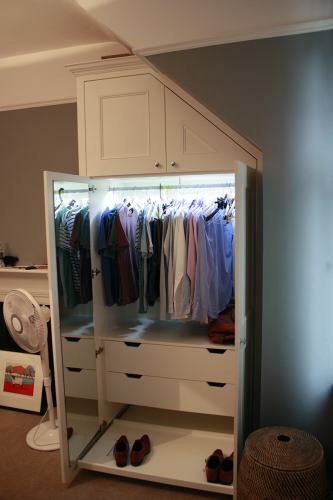 Illuminate your fitted wardrobe. 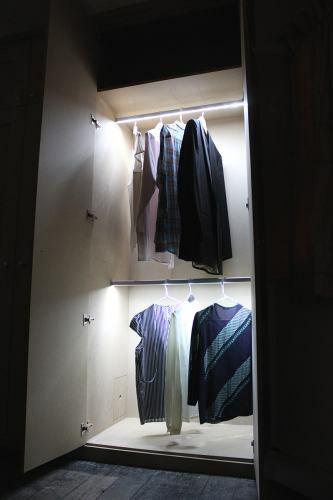 Just having more light in the wardrobe will make it looks bigger. 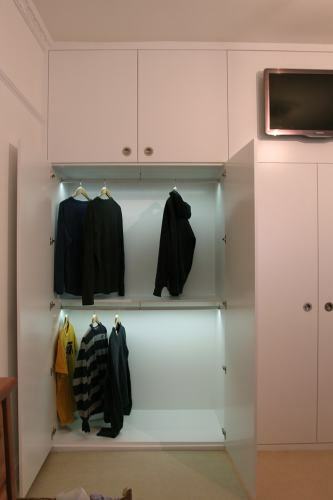 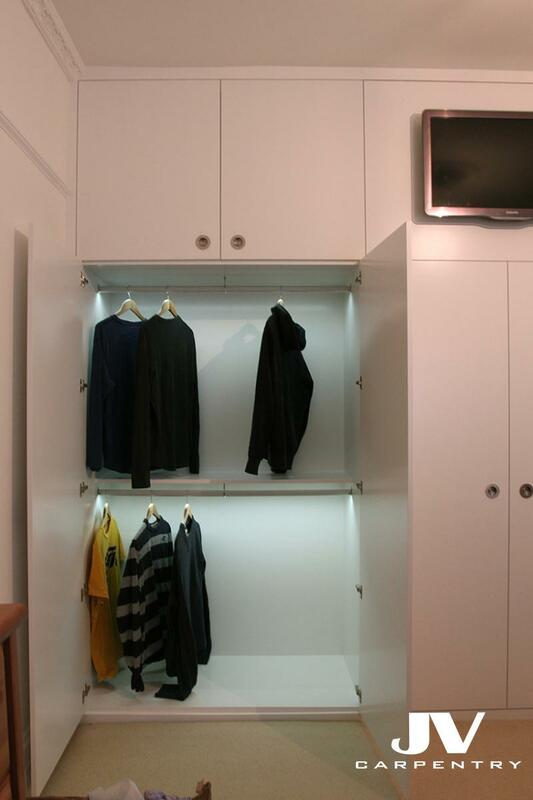 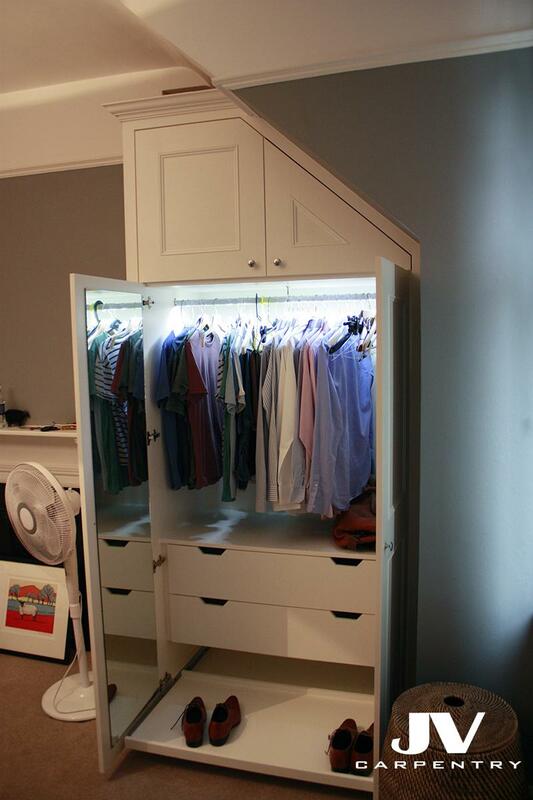 Add an LED hanging rail, which is motion activated and you never lost your clothes in the dark. 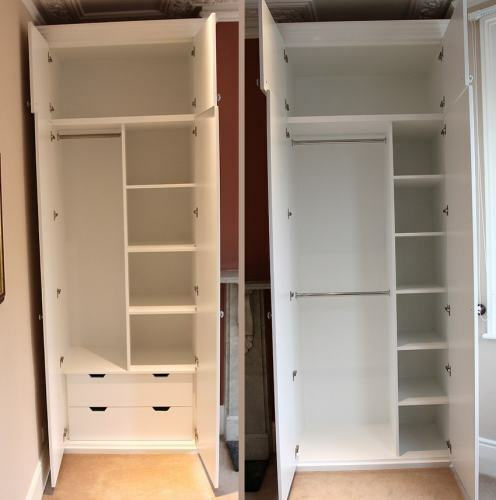 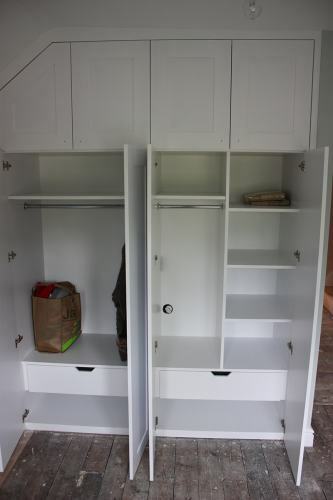 You can add a lot of the extra storage space by adding a column of shelves on the side of your hanging space, which turns the space into little cubby holes to give you plenty space for your folded clothes, so they don’t mix with each other and create a mess.